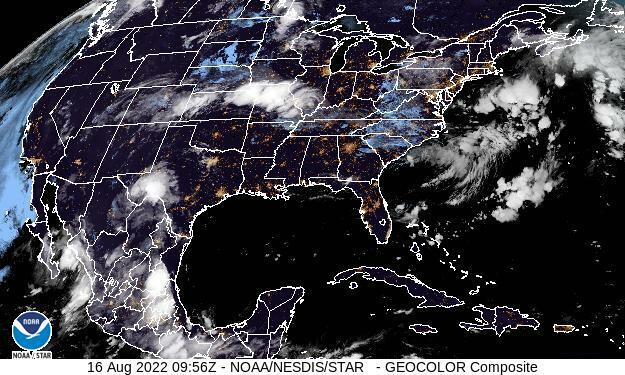 A storm will move out of the Mid-South eventually ejecting off of the North Carolina coast before tracking northeast toward the Canadian Maritime. 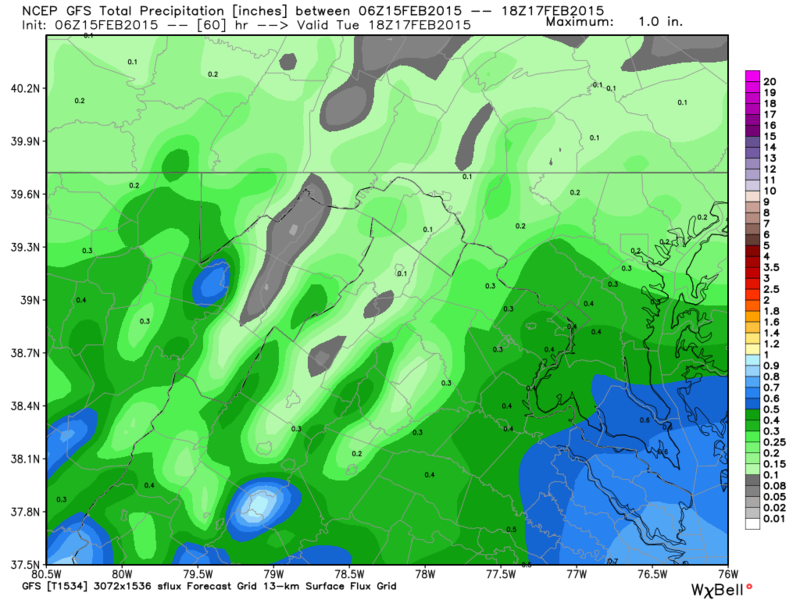 Latest GFS: 1 PM Monday Evening; Image courtesy weatherbell.com. 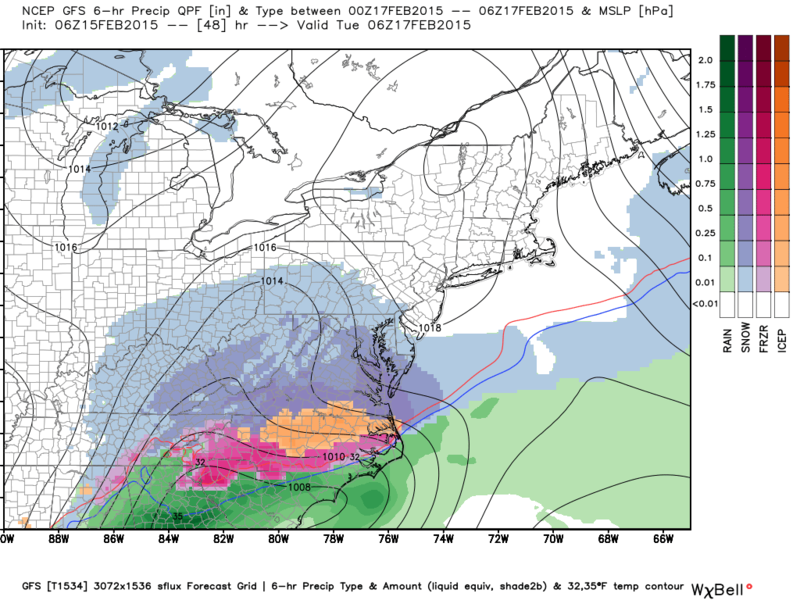 Latest GFS: 7 PM Monday Evening; Image courtesy weatherbell.com. 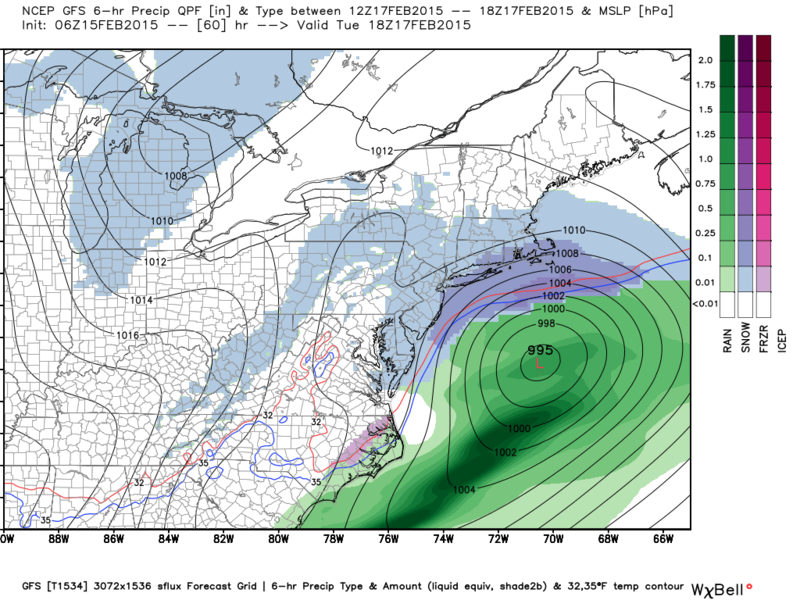 Latest GFS: 1 AM Tuesday morning; Image courtesy weatherbell.com. 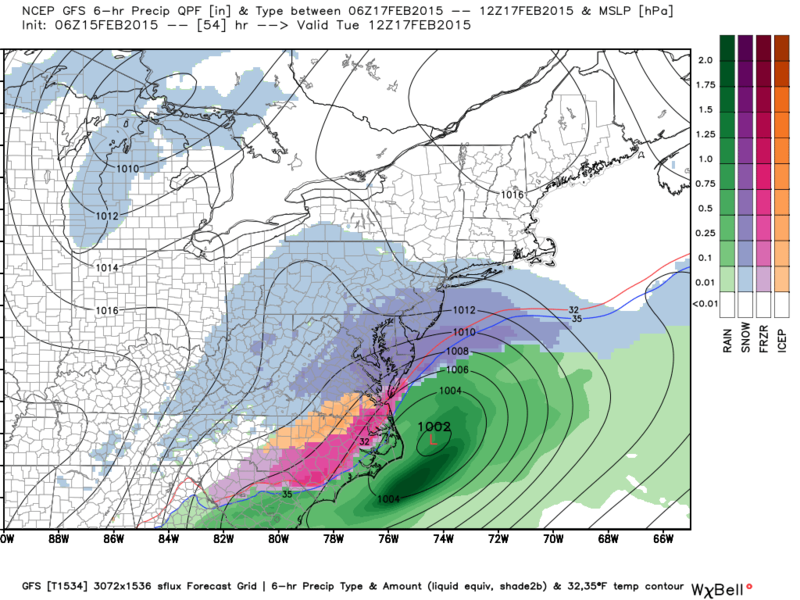 Latest GFS: 7 AM Tuesday morning; Image courtesy weatherbell.com. 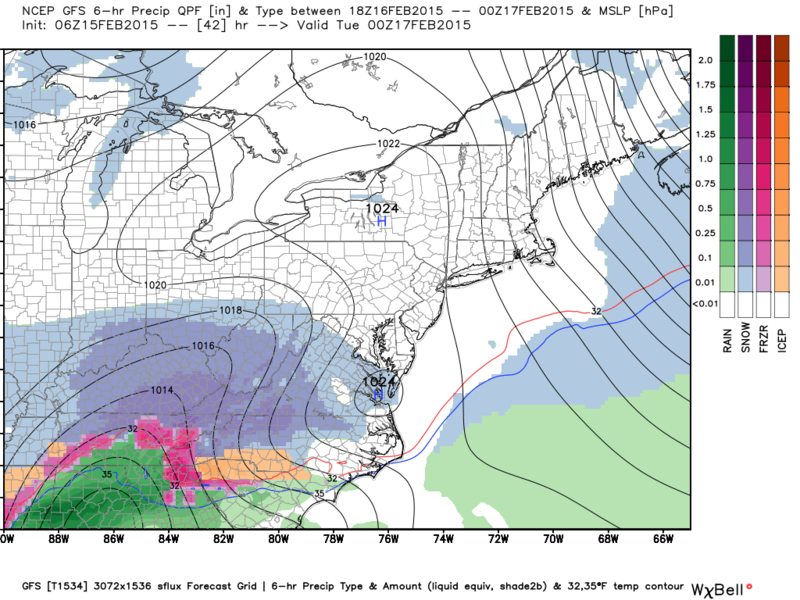 Latest GFS: 1 PM Tuesday afternoon; Image courtesy weatherbell.com. This storm will be a quick mover, however the ground and roadway temperatures are well below freezing so every flake that falls will stick causing treacherous travel Monday night and Tuesday. 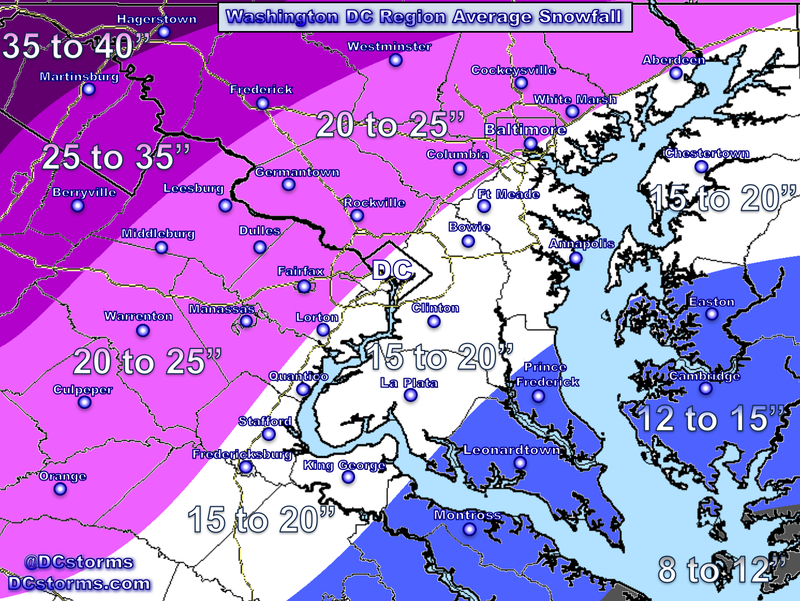 The heaviest snow *based on the latest forecast models* may fall just south and east of Washington with the potential for 8″ or more from north-central Virginia (Fredericksburg) eastward into southern Maryland. 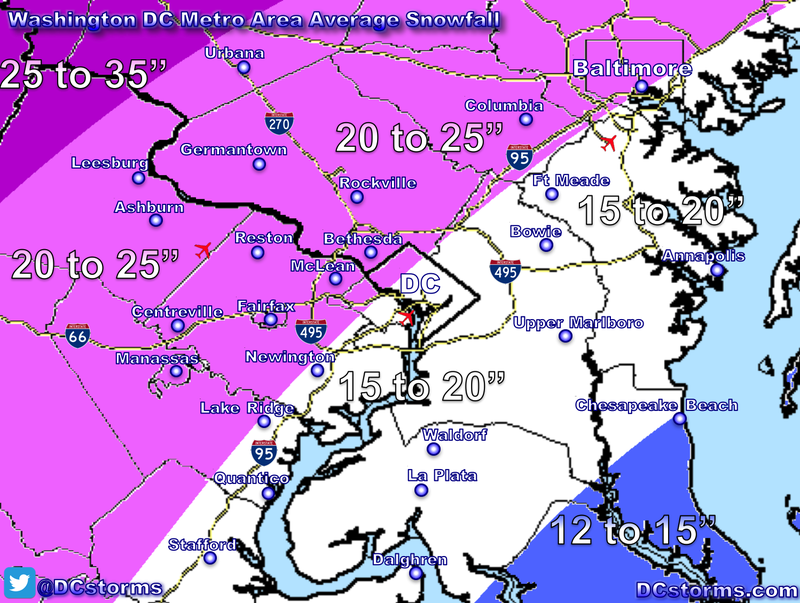 For the immediate Washington Metropolitan Area (Arlington, Alexandria, Fairfax, Loudoun, Prince William, Stafford, Montgomery, Prince Georges, District of Columbia): The potential is there for 5″ or more of snow. The Shenandoah Valley and northwestern Maryland (Frederick) will be on the northwestern edge of this system where 4″ or less is possible. Any shift east or west in storm track will cause drastic differences in snowfall accumulations. 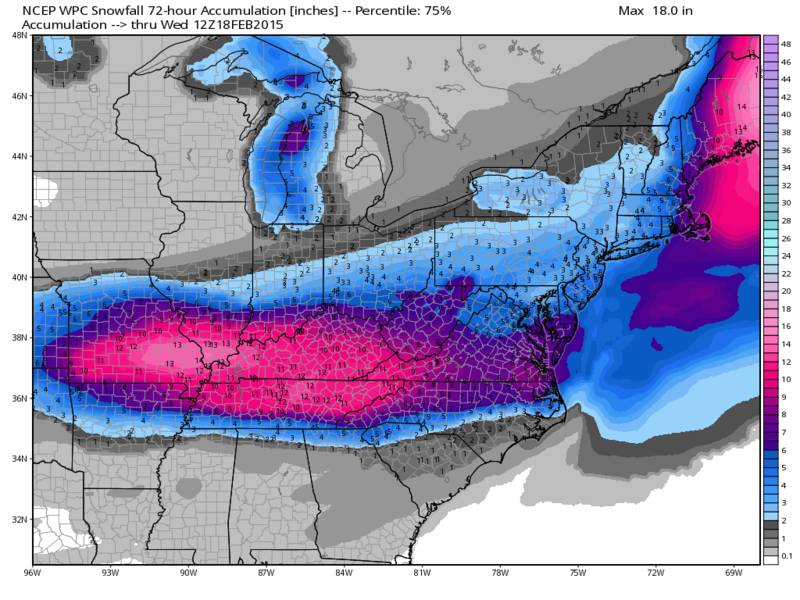 A shift west by about 75 miles could increase snowfall totals across the entire Region. 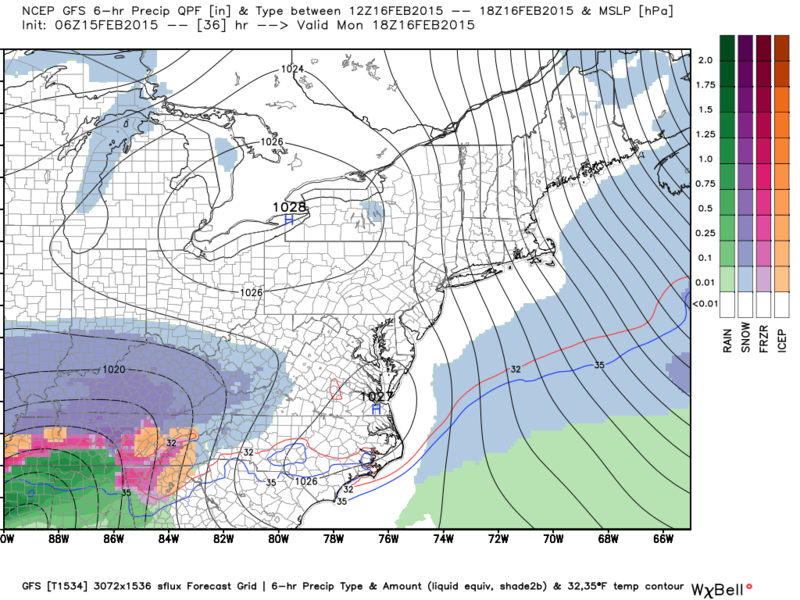 Also any slow down in track would also increase snowfall totals. Stay Tuned… we are only 36 hours away from when the first flakes begin falling (Monday early evening)! Previous Post Previous post:Alert: Some of Us Will be Digging out of Snow in Less than 36 Hours!